Welcome to the Cradle of Quarterbacks… The lasting legacy of Boilermaker gridiron greats and games comes back to life in timeless style in the pages of our 2019 Purdue Boilermakers Football Calendar. Each calendar features archival-quality images of vintage game-day football program art from the early 1900s-1970s. These eco-friendly calendars are made using sustainable materials from cover to cover. The large format 9×13 inch wire-bound wall calendar opens to 9×26 inches. Each month’s image is perforated and easily removable to fit any standard 9×12 inch frame. From DeMoss to Dawson, and Griese to Phipps, you’ll savor the memories of Purdue football prowess, whose storied history comes back to life with this calendar faithfully produced and authentic in every detail. BOILER UP! Purdue Pete would be proud! Welcome to the Cradle of Quarterbacks… The lasting legacy Boilermaker gridiron greats and games comes back to life in timeless style in the pages of our 2019 Purdue Boilermakers Football Calendar. 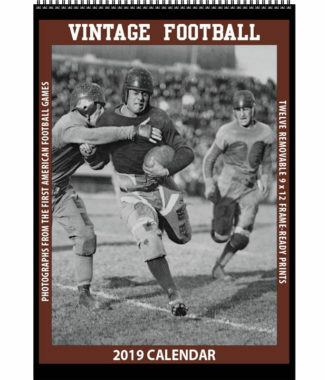 Each calendar features archival-quality images of vintage game-day football program art from the early 1900s-1970s. These eco-friendly calendars are made using sustainable materials from cover to cover. 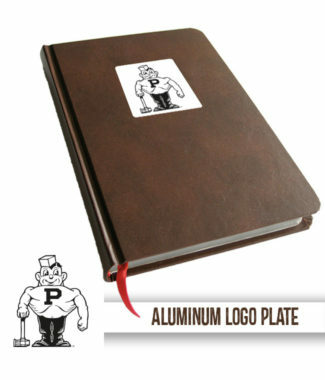 The large format 9×13 inch wire-bound wall calendar opens to 9×26 inches. Each month’s image is perforated and easily removable to fit any standard 9×12 inch frame. From DeMoss to Dawson, and Griese to Phipps, you’ll savor the memories of Purdue football prowess, whose storied history comes back to life with this calendar faithfully produced and authentic in every detail. BOILER UP! Purdue Pete would be proud! 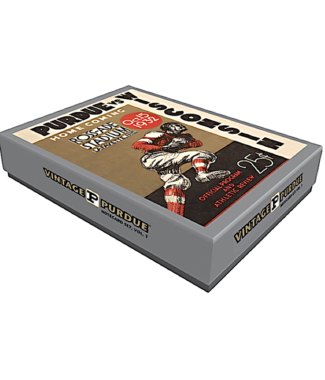 The images featured in the 2019 Vintage Purdue Boilermakers Football Calendar are archival-quality reproductions of the covers of the actual souvenir game programs that were sold at the games many decades ago. In some cases the images have been digitally repaired and restored where creases, tears, marks, or other damage would have otherwise distracted from the appreciation of the artwork as it appeared at that time. Some images have been cropped and/or resized to fit this format.